The freak show was a staple of 19th-century entertainment, with the sideshow performer marketed as a kind of ‘subhuman’ thrill. Audience empathy replaced cruelty when science finally caught up, as we began to understand that disease caused birth defects, but not before the art of physical difference was born. Enter self-proclaimed freak, Sarah Houbolt. Born with the congenital Hallerman-Streiff Syndrome, she stands at 144 cm tall and is legally blind. Not that it holds her back. She’s forged a performance career combining her unique physique with identity politics, reinventing the sideshow act for the 21st century. Her physical disability has increased her body awareness. ”I love the bed of nails. It’s very tactile, which is interesting for me because I’m partially sighted, so it’s a visceral experience,” she said in an ABC interview. There’s no trick here, those nails hurt. Houbolt’s kinaesthetic intelligence is clearly off the charts, but to then see her artfully cross the line to gross, by pulling one of the nails out of her nose, is close to genius. Her gift for performance is matched with an eye for art history. In Koo Koo the Bird Girl, she makes use of her likeness to Minnie Woolsey, the early 20th-century freak who was liberated from a sanatorium to become a sideshow star. “These people had a really valued role in the freak shows, historically, as it was the only place for them to earn a living,” said Houbolt, in an interview with the Festival of Dangerous Ideas. Woolsey played herself in Tod Browning’s Freaks, the horrific 1932 baroque film that confronted people’s notion of normal. A cinematic masterpiece that “today looks like a damning antidote to the cult of physical perfection and an extraordinary tribute to the community of so-called freaks who made up its cast,” wrote Derek Malcolm in The Guardian. The idea that a person’s character is innately determined by genetics and physical factors seems ridiculous, but back then “there were ugly laws, anti-marriage laws, compulsory sterilisation of women with disabilities. All these structural inequalities told society that these people were not worth having around,” Houbolt explained to SBS. It is no wonder that advocacy is her other death defying feat. In her role as a UTS equity and diversity officer, with a focus on ‘design thinking’ she believes that disabled staff and students are capable of finding solutions to global problems, not just their own. “It is the environment that is disabling. There’s nothing wrong with me. It’s the frosted glass and the lining of the stairs. It’s the things that I need to navigate this world,” she said. Whether swimming in the Paralympics, performing for Cirque du Soleil, or fighting for inclusion, Houbolt has become that rare thing – an agent of change. She makes us think about physical diversity and the impact that 100% integration could have, and will have, upon the world. 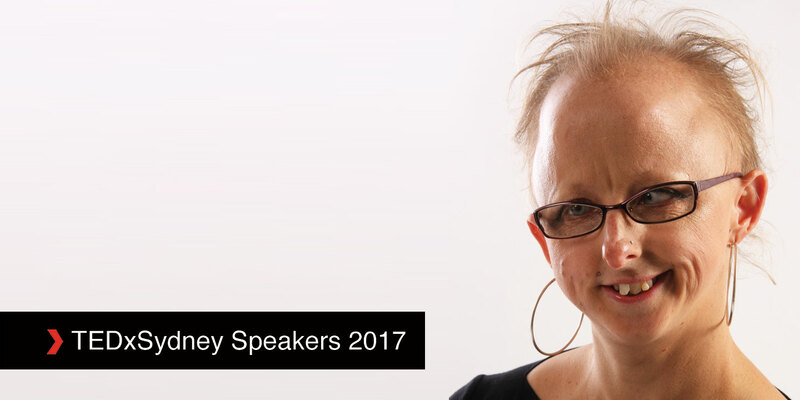 Book now to see Sarah Houbolt at TEDxSydney on Friday 16 June 2017.